15 Writers is not the site that we would recommend to students like yourself. They aren’t able to offer you the high quality that you should expect. The pricing is exceptionally high here, and for that you’re getting an essay that’s likely not even written by an English speaker. You’re much better off continuing to look for another writing service, as you can get much better for much cheaper. Plenty of essay writing services say that they’re the best one around. On the 15Writers.com site, they say that they’re the UK’s premier writing service. Is that really true? Read on to find out if they’re worth using. Good writing services will have a robust staff on call, so you can get a good essay no matter when you place your order. What’s the staff like here? Right now, there are just under 50 writers on the team, 11 of whom are based in the UK. 16 have Masters degrees, and 8 have PhDs. For a UK based service, it’s surprising to see that only 11 of their writers are actually based in the UK. What does that mean for the quality of writing they put out? You’ve got to be careful when you’re ordering an essay through any essay writing service. Are they as trustworthy as they look? Reading through 15Writers’ guarantees, they say that they take the protection of your data very seriously. They also point out that they’re a UK registered company, so you know you have a backup if things go wrong. No matter who you’re ordering with, you’ve got to be sure that they’re ready and willing to help you with your work. Are the writers here able to write an essay that’s up to your standards? We’ve been reading samples and reviews to see what they can do. From what we’ve seen, apparently, essays written by non-native English speakers are a problem. Many students have received essays that were poorly written and containing several essays that weren’t picked upon before delivery. This is obviously less than ideal for paying customers. 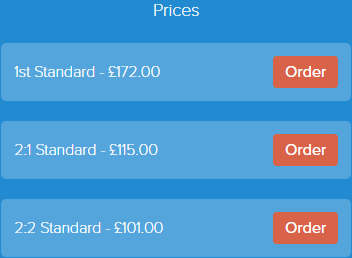 As with most writing sites, your pricing is customized. 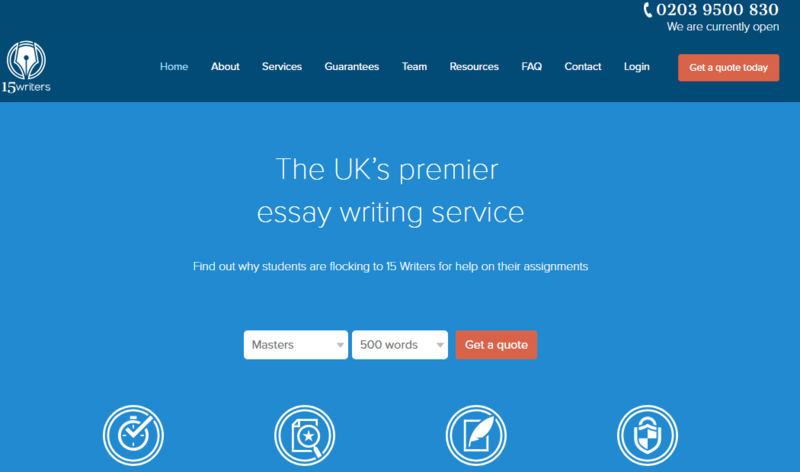 With this service, you can expect to pay £101 GBP for a 2:1 level, 2-page essay that’s due in 10 days. You can get a 10% discount on that price, if you’re a first time customer. However, there are no additional services available. This price is very steep, especially compared to other writing services out there. When you order, you’ll be able to get in touch with the customer support team whenever you need them. They can help with any issues you’re having with your essay, and can be reached 24/7. You’ll need to be aware that if you do reach out to them, you can be looking at a lengthy wait for them to get back to you. If you’re in a rush, you may want to go elsewhere for your essay.